It has been pretty busy in our house lately. . . and this weekend was no different! Some of our sweet friends came in town and it was so much fun to spend time together! Since we had a big day planned, I had brunch prepared when they arrive! That way we could eat and then hit the town! 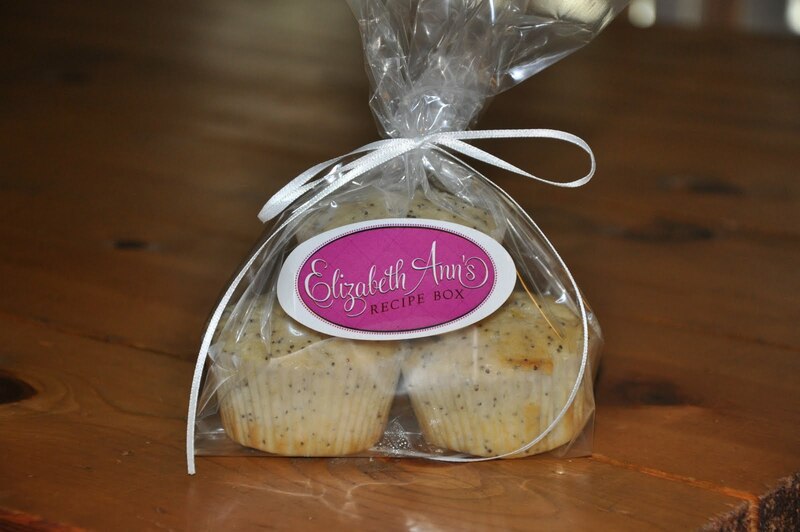 These poppy seed muffins, from Annie's Eats, were a hit at brunch and I had enough left over to take as a hostess gift to a barbecue later on in the weekend! 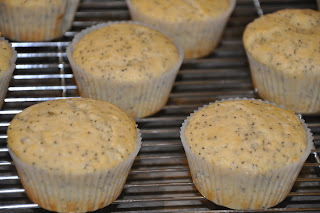 Preheat the oven to 350˚ F. Line a muffin pan with paper liners. 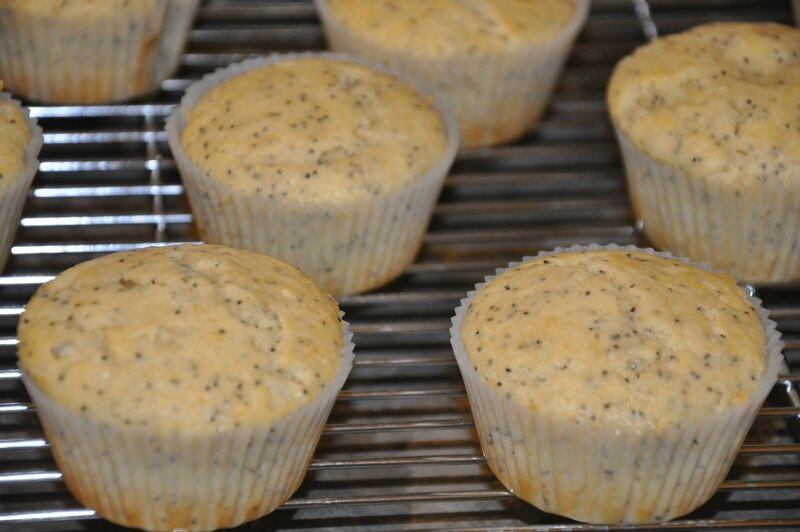 Combine the flour, poppy seeds, baking powder, baking soda and salt in a medium bowl. Stir briefly to combine. In a mixing bowl, beat together the butter and sugar on medium-high speed until light and fluffy, about 2 minutes. Beat in the eggs one at a time, blending well after each addition. 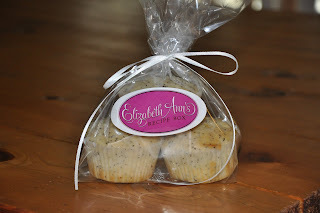 Mix in the lemon zest and the vanilla extract. With the mixer on low speed, mix in the dry ingredients in two additions alternating with the yogurt, beating each addition just until incorporated. Divide the batter between the prepared liners, filling each about two-thirds full. Bake 18-20 minutes, until a toothpick inserted in the center comes out clean. 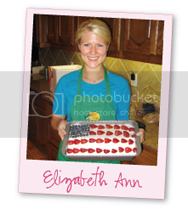 Let cool in the pan 5-10 minutes, then transfer to a wire rack to cool completely. While the muffins are still warm, whisk together the confectioners' sugar and lemon juice in a small bowl to make the glaze. Drizzle a small amount of the glaze over each muffin. Let the glaze set before serving. I just made these too!!!! great minds think alike! so tasty!!! 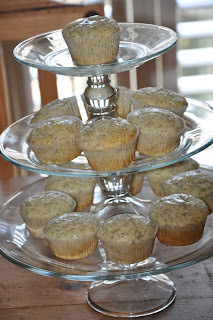 cant wait to add this recipe to my blog!